Rivers across the region are in the best condition right now. 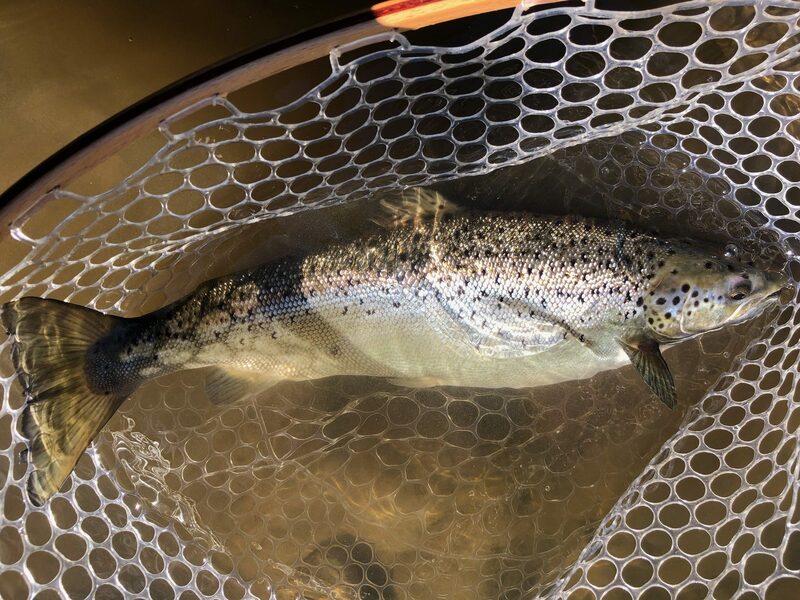 Recent rains have brought levels up to either side of their seasonal averages, temps are in the mid to high 50’s, but clarity can be diminished depending on how hard it rained in the water shed your fishing. Reports from our guides, from this passed weekend were good for trout, pike and bass. The landed locked salmon run wasn’t quit what we had hoped but that will change real fast. If we get the rain predicted for overnight and tomorrow, that should make the flow more favorable.Next weekends salmon success will be better. October is a crazy month. There is much changing. Leaves are changing color, and in a couple weeks will be falling and becoming a nuisance when they are in every inch of the water column. Trout see fewer insects hatching as the month progress so our fly selection can be fewer as well. We start targeting large spawning fish. If your not on a popular salmon river, you will have more of the other waters to yourself as many hunters start to struggle with whether to hunt or fish. Air and water temps are cool so no more wet wading or needing a thermometer . October 31st the regular trout season will end so you’ll have to check the regulations for the water that remains open to C&R , artificial lures only. Those waters remain open right thru the winter and November can be very good.